This amazing loveseat features a contemporary style with welted details, sock arms, and t-design on the cushions. 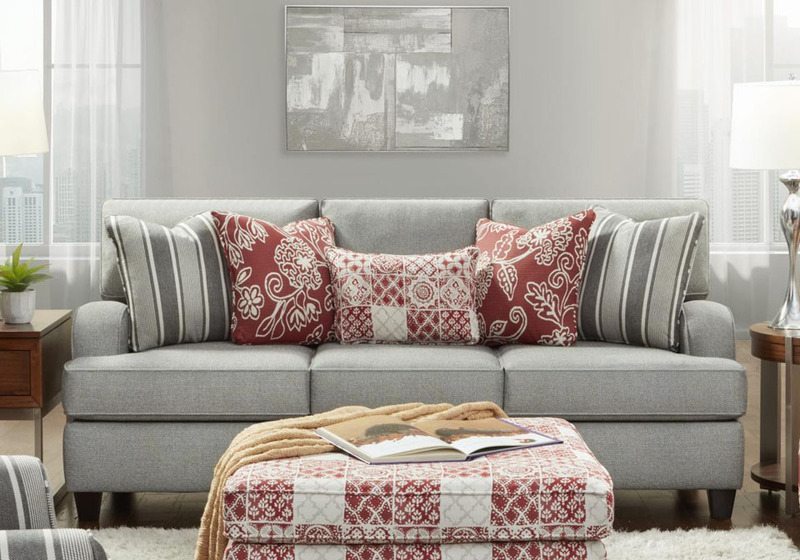 The cool grey tones of this sofa contrast strikingly with its deep red accent pillows. This piece will upgrade your living room into that great space to receive family and friends! 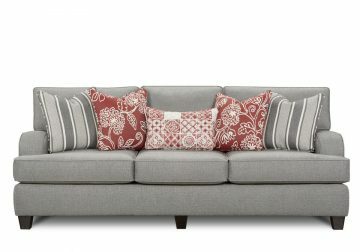 *Image shown is the sofa, NOT the love seat. The love seat has two seat cushion, not three.